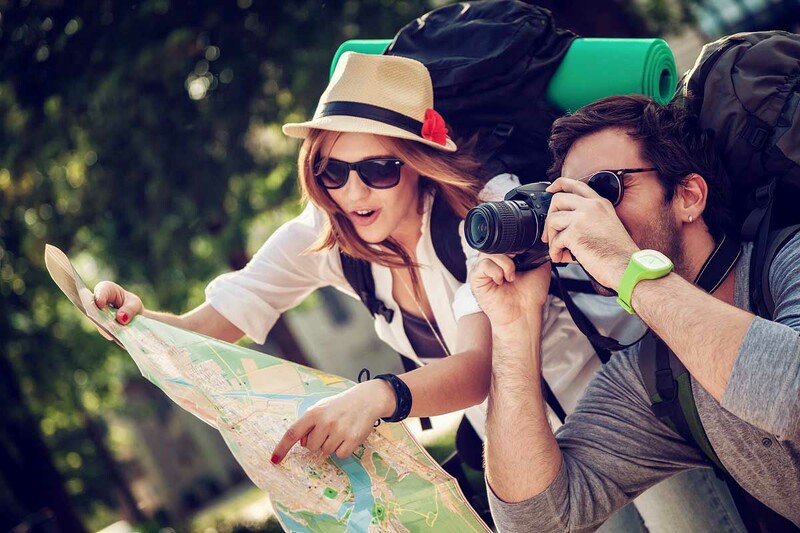 Eye Care Tips for Travel Enthusiasts. Travelling does not mean having to compromise on your health, and this applies as equally to eye health as it does to anything else. To ensure maximum comfort and convenience on your travels, here are some tips when it comes to eye care. If you wear glasses for reading or other occasions, store them in a hard case, especially if you intend to place them in your checked luggage, as such luggage often gets moved on and off conveyor belts in a rough fashion, sometimes damaging items inside in the process. When traveling with eyewear, do not risk having your glasses damaged or, worse still, broken. If you are a contact lens wearer, pack a sufficient supply of lenses for your entire trip. If you do not wear disposable lenses, have a few extra pairs as a backup in case you lose the others. Make sure to also to pack a sufficient supply of contact lens solution, and do not forget your storage case. The last thing you want to think about is obtaining medical care while on your travels, but being prepared for that possibility is better than being caught out. Ensure to pack a copy of your current eyewear prescription in case it is required by a medical professional. Having a copy of your prescription is also very useful if, for some reason, you have to obtain replacement eyewear during a trip. Just because you are traveling away from home does not mean that all of those healthy eating habits you have acquired get tossed to one side for the duration of your trip. Healthy eating is as essential to maintaining healthy eyes as it is for any other part of your body, to ensure that you get plenty of fresh fruit and vegetables during your travels. If your travels bring you to exotic locations and hot climates, then chances are you will be exposed to plentiful sunshine. Ultraviolet (UV) rays from the sun can cause damage to the eyes if they are left exposed, resulting in macular degeneration and the development of cataracts, so packing suitable sunglasses is essential. A pair of wraparound sunglasses will give you protection from the sides as well. If you wear contact lenses, you can get ones with UV protection, but having suitable sunglasses on hand is still advisable. If you are taking a long-haul flight, remove contact lenses before you board your plane and wear glasses for the duration of the flight. If you were to fall asleep with lenses in, it may result in an infection or extremely dry eyes, unless you have contact lenses suitable for wearing while asleep. Another advantage of wearing glasses on board a plane is doing so offsets the effects that arise from exposure to cabin pressure and onboard air conditioning, resulting in possible dehydration and discomfort. If you find that as a regular traveler, bringing glasses or contact lenses and lens care products with you from place to place is becoming an inconvenience, then you could consider laser eye surgery as a more long-term fix to your vision problems. Lasik Denver services offer you a good idea of the laser eye surgery options available. Worrying about your eyewear while you’re on the road can be a hassle, so pack everything you need before you depart on your trip. Or simply do away with your eyewear completely and consider surgical options that can really lighten the load for frequent travelers.